All the pupils at Hague Bar Primary School in Derbyshire are studying minibeasts this term, and their classrooms, hall and corridors are teeming with fabulous minibeast artwork. How do I know? Because I was there on Friday, to add some minibeast poetry to the mix! I started the day by performing my interactive, cross-curricular, minibeast poetry show Buzzing! for the whole school. (During which much giggling was had by all …) I then spent the rest of the day working with each of their four classes in turn – indoors and out. At the end of the day the children all came together in a sharing assembly and performed some of the fantastic minibeast poems they’d created. ‘your brilliant assembly and workshops. The staff and children loved it! I was proud of the minibeast poems the children created too. As were their parents, some of whom had come along for the sharing assembly. 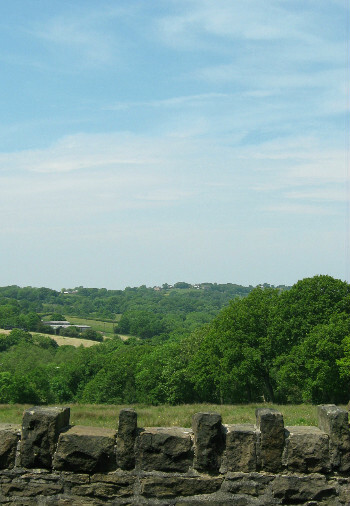 I think the school has something else to be proud of as well: the views it commands over the Derbyshire countryside. How’s about this for a view out of a classroom window? I could go on at length about how enthusiastic and welcoming the children were, how inventive their poems were, how helpful all the staff were, etc. etc. etc. – but I have an important job to get on with. 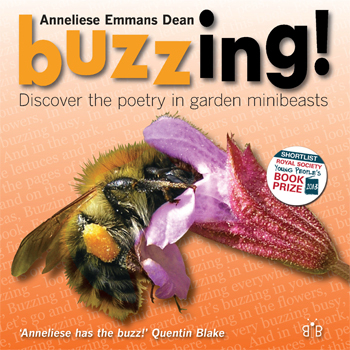 At the end of my visit the children bought more copies of my Buzzing! book than I had with me – so I need to go and sign and dedicate a lot more copies now and get them in the post! If you’re studying minibeasts in your primary school and would like me to come and put on some cross-curricular minibeast poetry activities for your pupils, then do email me. I look forward to hearing from you.